Long gone are the days when men did not pay too much attention to how they looked like. We are living in an era where new fashion for men keeps coming up and every man has to make an effort to catch up. That is why; at Craftsvilla, we strive to provide men the best clothes that have been creatively designed and perfectly tailored to help them achieve that perfect look. 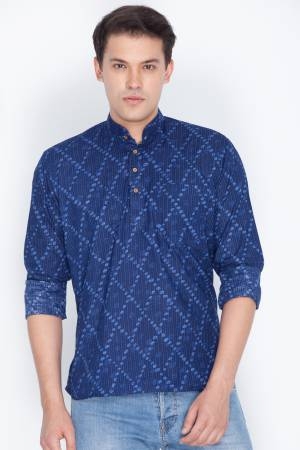 Our aim is to help Indian men keep up with the ever-changing latest fashion trends for men with a lot of ease. All one has to do is shop at Craftsvilla and get on board with any trend they desire to sport. As men’s fashion clothing keeps evolving, we strive to ensure that our collections are the perfect combination of trend and tradition. Ancient Egypt was the first place where the true evolution of men’s fashion clothing began. The ruling families developed their clothing styles to intimidate those beneath them. Jewellery was also incorporated. The trend picked up in Ancient Assyria, Rome, Greece, and the Middle Ages. The ruling families and those that served them wore the finest clothes designed by the best couturier. In the 1700s, clothing served more purpose like categorizing people according to different factors like wealth and so on. In the 1730s, the English people revolutionized clothing designs for men to make them more comfortable and a frock was a vital part. The trends kept evolving to wearing tuxedos which originated from America, and many other clothes came up as we have seen in today’s world. 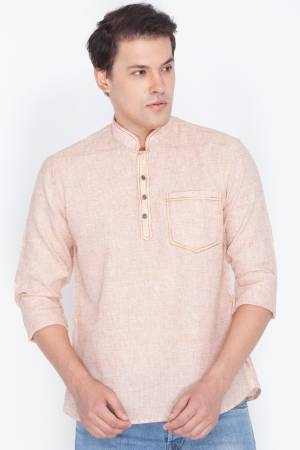 Looking at the Indian dressing culture, you will realize that the men’s fashion was also very basic and not much effort was put into making them stylish and dapper. 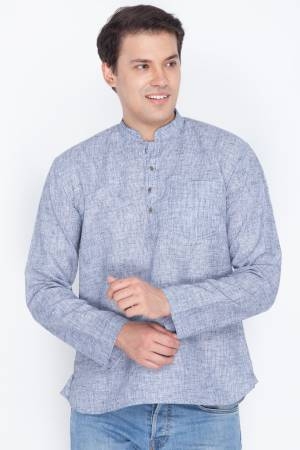 Ethnic wear for men included Sherwani, Bandhgala, Lungi, Kurta, Angarkha, Pajama or Dhoti and the Jama. This kind of clothing was very simple. As time evolved, they became more and more sophisticated by adding that much needed touch of elegance, style, and panache. These clothes have been turned into new fashion for men by thoroughly revolutionizing them. At Craftsvilla, we strive to ensure that every time you think of latest fashion trends for men, you think about Craftsvilla! This is because we offer unique and magnificent clothes for men and collections that get updated every day. 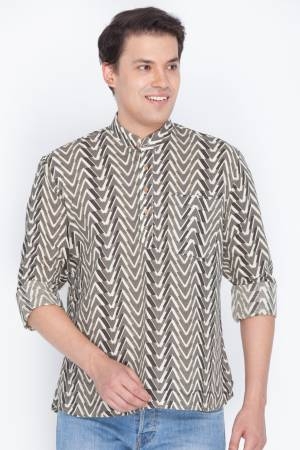 Craftsvilla is a place where you will find all the latest fashion trends for men. We always strive to ensure that our collection will make our customers look and feel stylish, trendy, and dapper at all times. Our top sellers go the extra mile to ensure that they give our patrons the most comfortable and stylish outlook that does not deviate from our rich cultural traditions. That is why we tend to offer lots of Sherwanis, Kurtas and Kurta-Pyjamas, Bandhgala, Dhotis and Kotis. Here are a few pointers that you should keep in mind before you buy ethnic wear. Your size: The varieties of sizes we sell are abundant and cater to every shape. Therefore, knowing your size is of extreme importance, so that it enables you to choose clothing that is going to fit you perfectly without being too loose or too fitting. If you are not aware of your particular size, you can go to a local tailor, who will definitely be able to guide you better. The sleeves: We have different sleeve lengths and you will be able to make the most perfect choice if you consider the kind of sleeve that suits your body structure. The occasion: Choosing your ethnic outfit also depends on the occasion that you plan to wear it for. 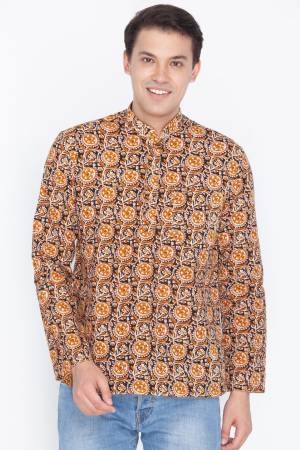 Worry not, whatever the occasion be, our latest fashion trends for men are fit for different occasions like traditional ceremonies, festivals, formal occasions or even for those long office days. Choose a color that compliments your skin tone: Many a times, men do not pay too much attention to this, but it is always important to know the shades that look perfect on you. This will help you pick the best shades in outfits that you choose to purchase. Fabric: Fabric is key in order to choose the best outfit. 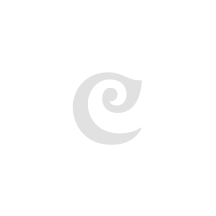 At Craftsvilla, we have outfits in different materials such as Cotton, Cotton Silk, Rayon and so on in order to cater to fashion for men. 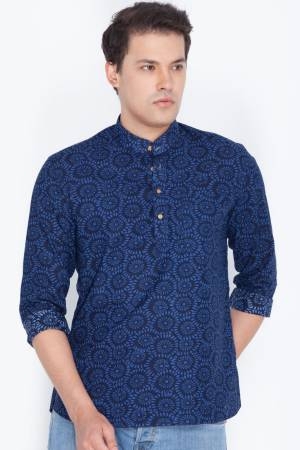 Our unique and latest fashion for men is made up of a collection of outfits in different categories ranging from Kurta-Pyjamas, Dhotis, Sherwanis, Shirts and so on. We have done a great job to ensure we give you the most outstanding ethnic clothes that are dashing and stylish. These clothes are within the confinements of the traditional ethnic wear men’s clothing and which is why they are preferred. That touch of modernity is kept at a minimum level for most of our collections. Craftsvilla understands what is needed to create successful stories of style. As much as they like looking amazing, stylish and elegant they love to keep things minimal. That is why we try to meet the needs by ensuring we do not add too many details using embroidery, beads, embellishments and so on. 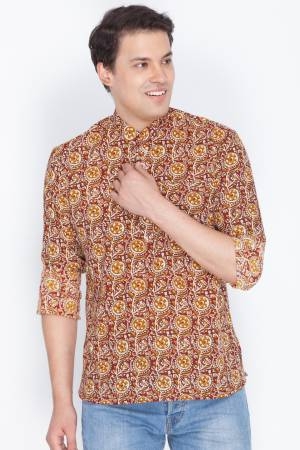 Craftsvilla is your one-stop shop for all men’s fashion clothing as well as womens clothing. We have all that you need- Sarees, Punjabi Suits , Lehengas, etc. We also offer them at amazing prices! 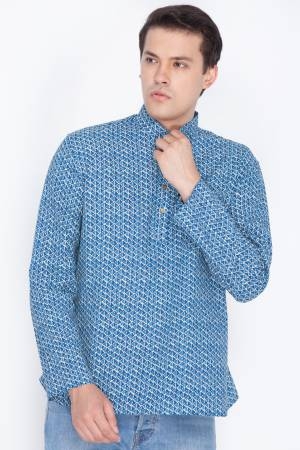 Craftsvilla has some of the best and flattering men’s clothing for every man. Whatever the occasion may be, we have got you covered. As you shop from our online store, we have put in place security measures that ensure you always use a safe and secure platform at all times. Our mobile app has also been carefully developed to ensure the same. Our online shopping platforms are also easy to navigate and to use the available features.